5 - 5.5 oz high shine allows for a professional look while maintaing strength and durability. 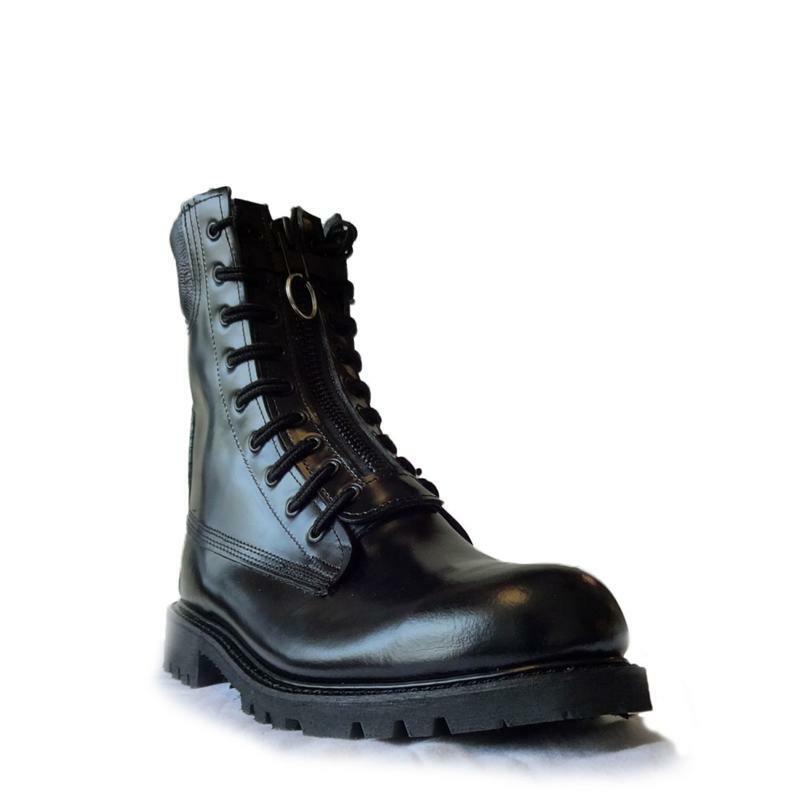 Well padded cushioned collar & ankle pads for proper fit and comfort. Non-Corrosive metal quick release zippers. Double ply Cambrelle lined boot interior keeps the feet dry. Good-Year welt for strength and support. For safety, strength and support, the Firefighter 1 boot was equipped with extra strength heel counters. ANSI 75/Z41 steel toe & Grade 1 protection from frontal impacts. Puncture resistant from heel to toe. Comes standard with Dryz insoles, made to absoorb and trap moisture to keep feet dry, prevent odor, and control bacteria. The Firefighter 1 is the boot to choose if you are looking for all day long lasting comfort.